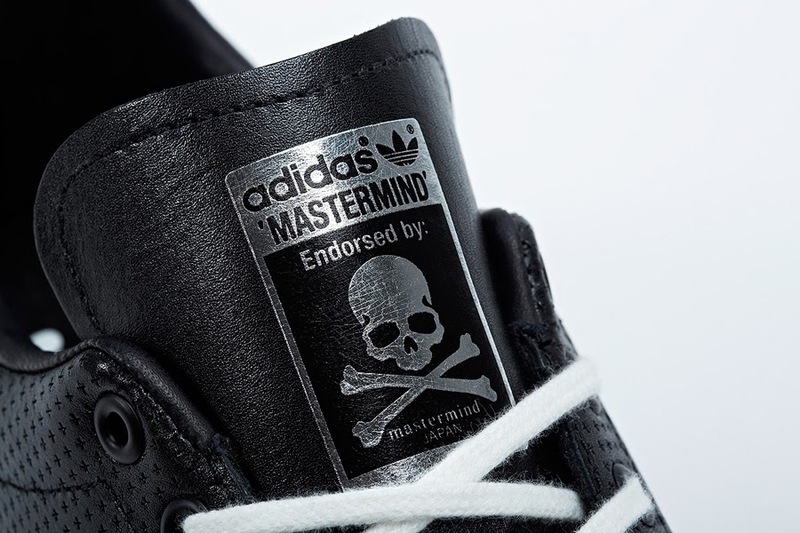 Luxury streetwear label mastermind JAPAN is no stranger to the adidas family, having collaborated with Consortium in the past. 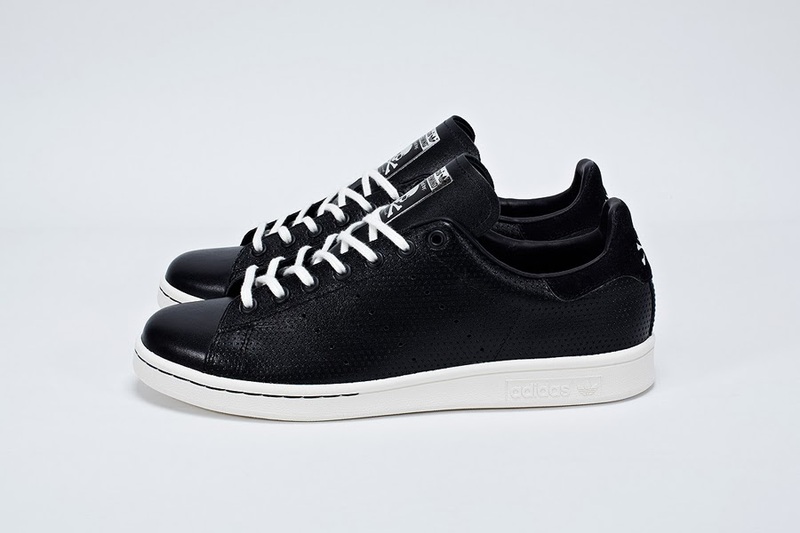 They use their signature jet-black color palette on the Stan Smith and play with intricate and interesting texture. 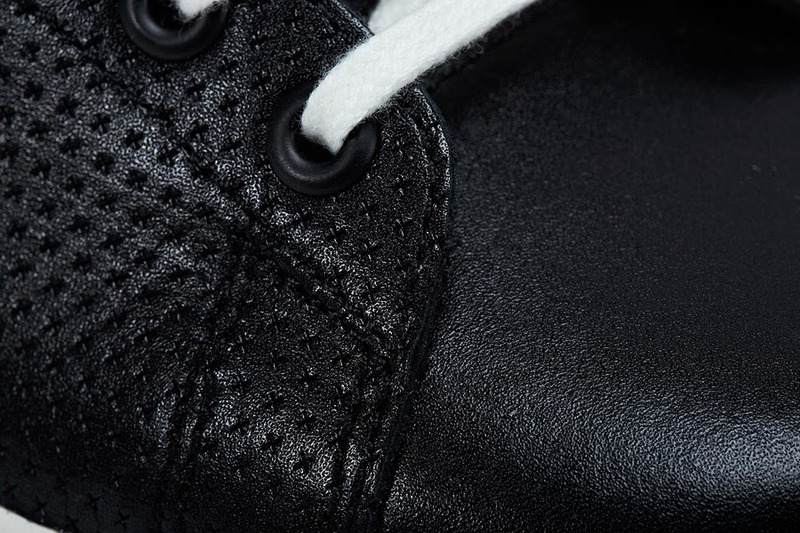 Most of the upper features a tiny laser-cut criss-cross pattern whilst the toe box, tongue and heeltab are kept in smooth leather. 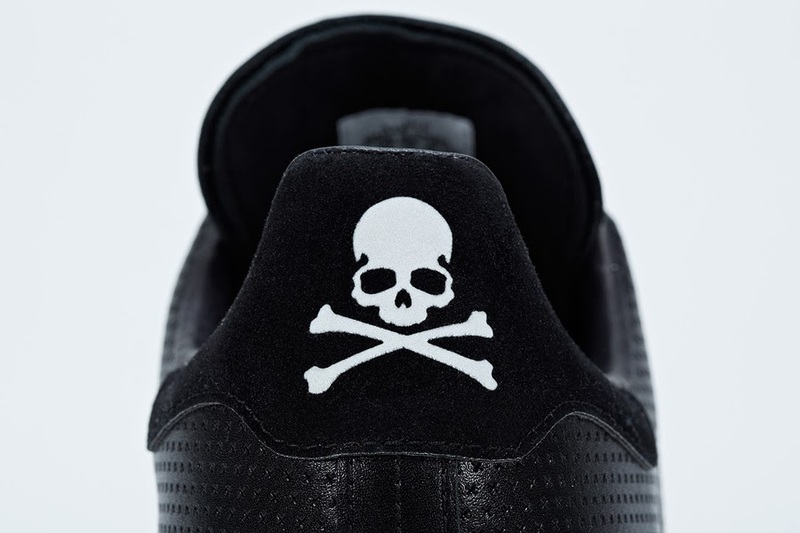 The mastermind JAPAN’s skull and crossbones logo, a heavily used feature on most of the label’s apparel and footwear, can be found embossed in silver on the tongue, and debossed on the heel tab. Thick black stitching contrasts against a white midsole to culminate in a sleek and simple shoe with definite streetwise attitude. 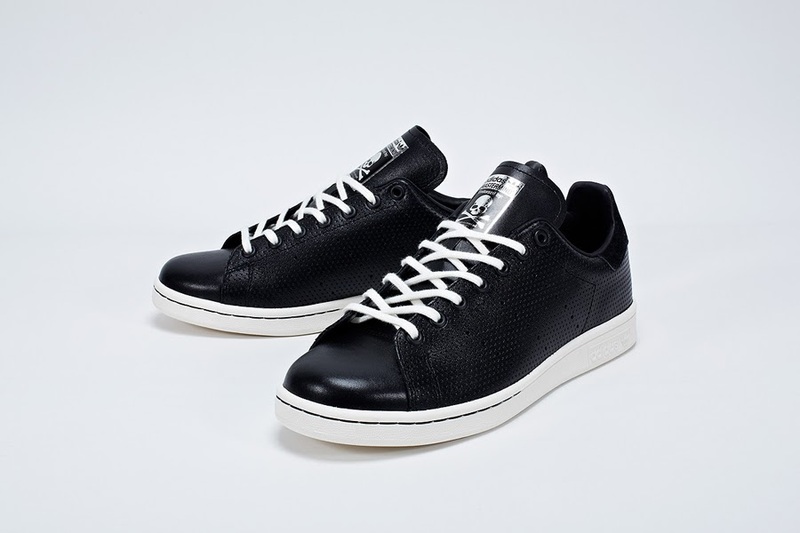 Adidas Consortium Mastermind Japan Stan Smith. Black, White Vapor, Black.